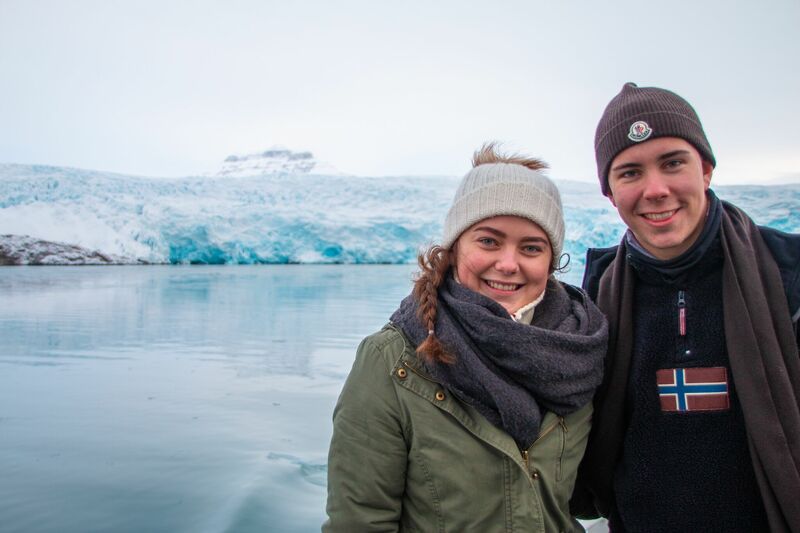 The American College of Norway has organized a travel course to Svalbard the past two years and this year was no exception. With great interest and tremendous success the past two trips, another Arctic expedition was planned! 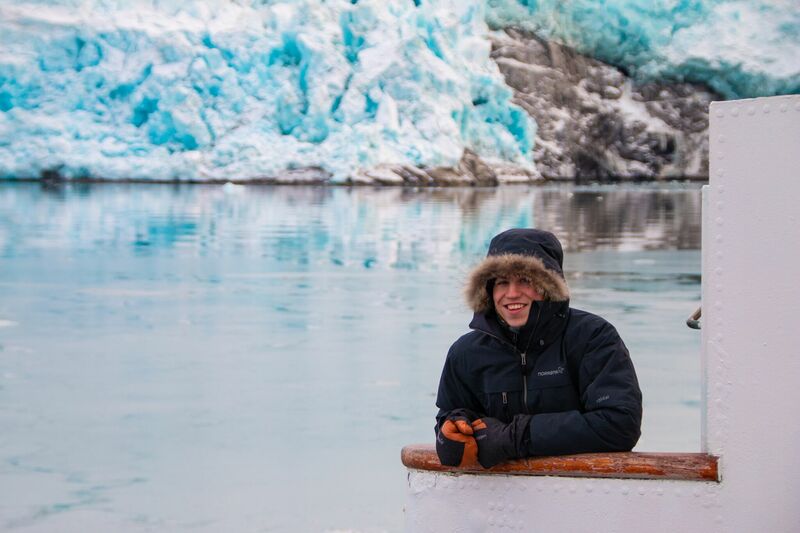 This year, 16 students spent an unforgettable week exploring Norway's northernmost territory with Dr. John Ross. Current ACN student and intern, Monique Østbye reflects on the unforgettable trip in our latest blog post. “An incredible, once in a lifetime opportunity in one of the northernmost territories in the entire world. 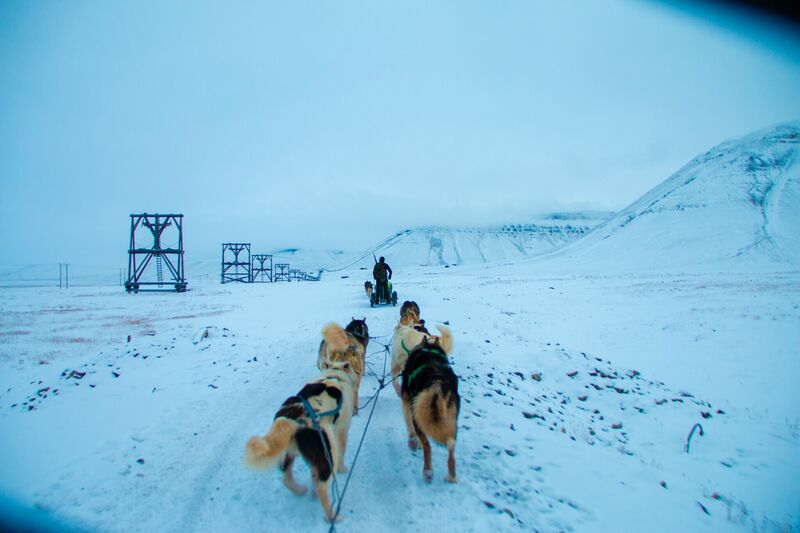 Traveling to Svalbard with ACN is an experience you can’t afford to miss!” This is how Dr. John Ross pitched the Svalbard travel course and boy was he right! 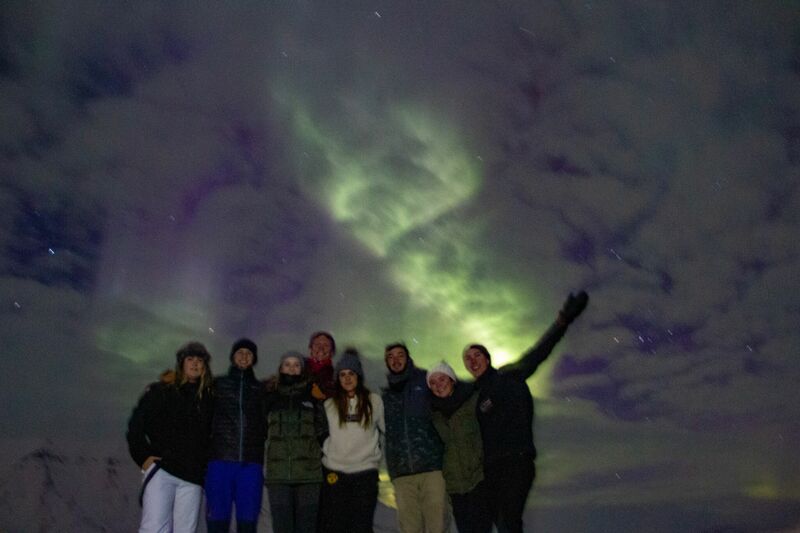 This past fall break, a group of ACN Arctic explores traveled to Norway’s northernmost territory as part of their academic curriculum. On this trip, we had a great mix of free time and structured activities. When we arrived, we had the first couple of hours to relax, get adjusted and get settled in at our accommodation. Once we were settled in we met up for a tour of the museum at The University Centre in Svalbard (UNIS). The museum was a great way to get our group introduced to Svalbard, our new home for the week. Additionally, the museum helped students connect the history of Svalbard and the evolving political state and environmental nature of the Arctic as discussed in Dr. Ross’ Arctic in Global Perspective course this semester. 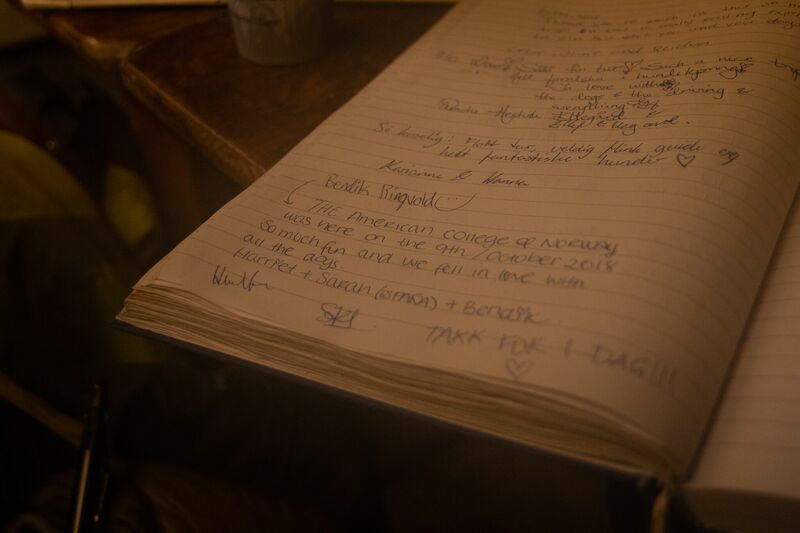 Later that evening we all came together and had a delicious group dinner at Kroa, one of Svalbard’s most historic restaurants. On the second day, we started our morning back at UNIS to hear more about the university and the type of work and cutting edge research they conduct. It was incredible to see some of the research that students were divulging into like micropaleontology. 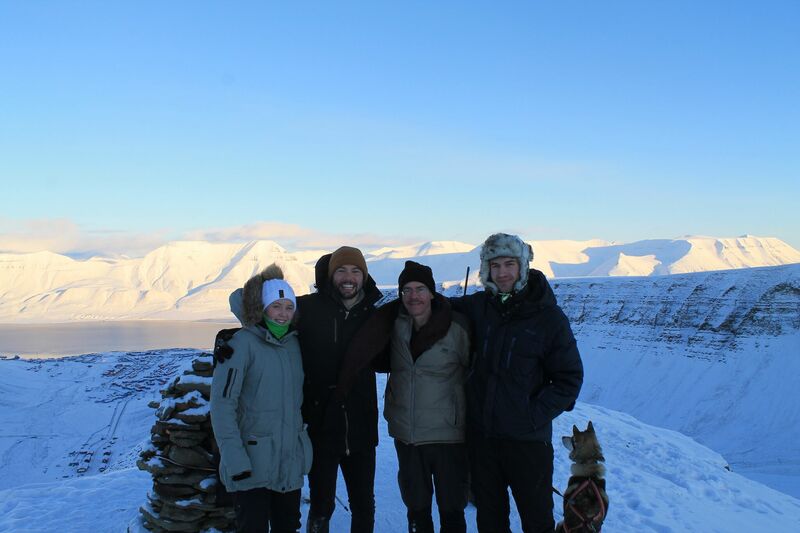 After the guest lecture, Dr. Ross led our group on a walking tour of Longyearbyen. On this tour, he told us about the general history of Svalbard along with some interesting facts about the whaling industry and how it influenced the environment in Svalbard. After the walking tour. we stopped at a cozy cafe to warm up… as one does in Norway! Day three was a free day where all students were required to do at least one activity, helping them explore Svalbard even more. 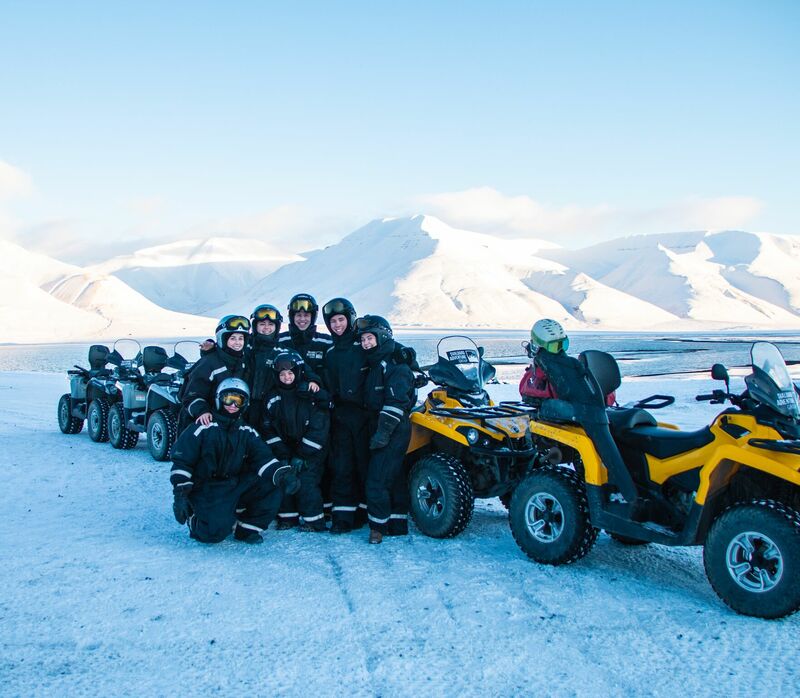 Some students went on a guided ATV safari tour, other students took this opportunity to go a nature walk in search of Arctic animals, some students even went dog sledding! There were so many options to choose from, many students did more than one activity that day! The last full day of our trip was reserved for boat cruising and exploring an eerie ghost town! Thursday morning we were picked up bright and early at our hotel for a day-long boat cruise to Pyramiden, an abandoned Russian coal mining village. During the boat cruise, we were treated to incredible views in the Arctic Ocean and snacked on some Arctic treats like salmon and whale! 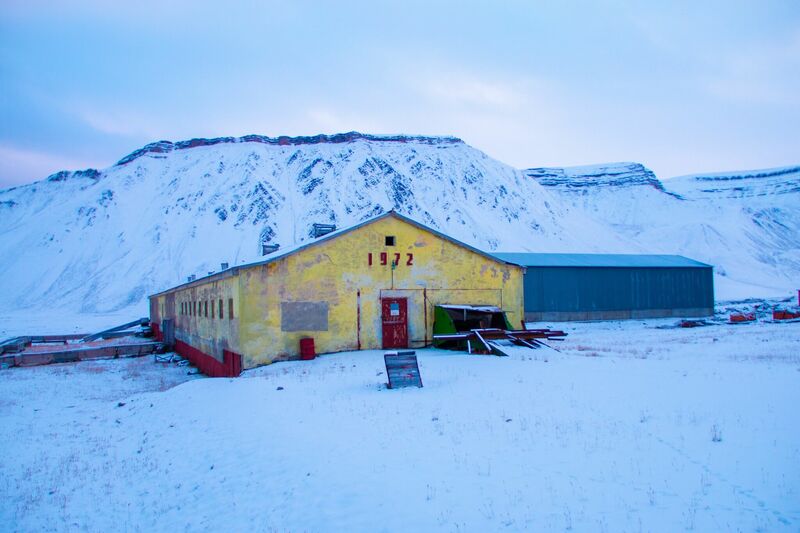 After the scenic journey, we arrived to Pyramiden. Once on land, we got a tour of the remains of the village by a local guide and we were shown the various facilities the coal miners used. We also learned about the harsh work and climate conditions. This trip was definitely one of the highlights of the travel course and a favorite among the group. Friday we sadly departed Longyearbyen to head back to Moss. 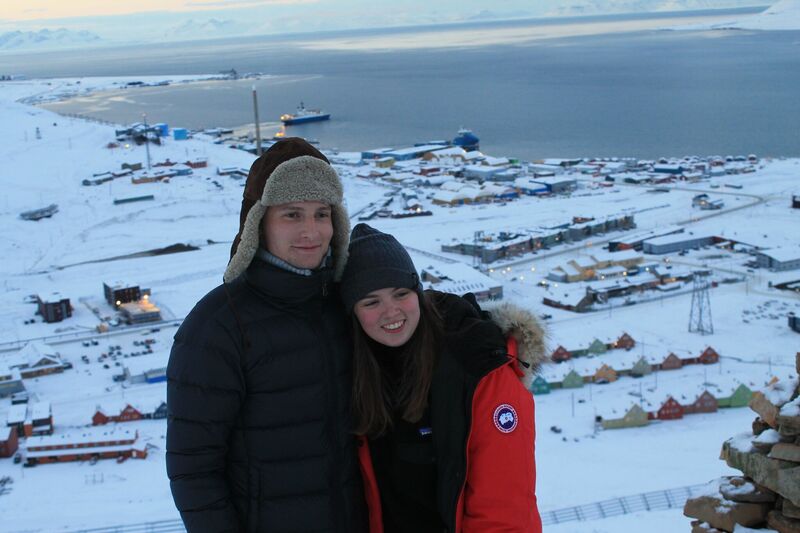 We were so tired from the exciting and eventful week, but so thankful for all the opportunities we had to explore Svalbard and get closer to each other. A special thank you to Dr. Ross for putting this together and a huge thanks to the ACN staff for helping us get ready for this trip. Click here to watch a video of our trip!